Tick-borne diseases are gaining popularity in recent times; the awareness of people in the matter of examining themselves and controlling their own health is also growing. Hence, such a large number of people who are diagnosed with Lyme disease - at different stages of course. In the description of the disease distinguishes the division into 3 phases. Tick-borne diseases are transmitted by ticks that feed on the pathogens of these diseases by eating blood. Checking warm and humid places on the body in addition to general visual inspection after every major walk is very important - unfortunately, now a tick can be caught even in the city. One of the most serious and common tick diseases of the present day is Lyme disease. Its frequency index is constantly increasing; In Poland, the majority of cases have been observed in Podlasie, where there is a large number of natural sites and considerable afforestation. Lyme disease is a chronic and multiform disease; it has many characters. It’s caused by Borrelia burgdorferi spirochete, Gram-negative bacteria. Bacteria enter the body with tick’s saliva or vomit. The infection occurs after a day or two since catching the tick, so it is very important to remove it as soon as possible. Bacteria adapt very rapidly to environmental conditions (i.e. to the human body) and are able to survive in latent form for very long - then there are no symptoms of the disease. In this form the bacteria is resistant to antibiotics - it has no cell wall that these antibiotics could destroy. Some spirochetes also have the ability to go into various forms, and consequently - cause recurrences and exacerbations of the disease. In addition, spirochetes have a long growing period. This is why fighting them takes so long (4 weeks minimum). When the human body attacks spirochetes, it surrounds the host cell membrane, making it unrecognizable for the immune system - the body is unable to defend itself against them. Lyme disease, as I mentioned above, is a multifactor disease - it may be asymptomatic, cause skin symptoms (so called erythema) or occupy the internal organs. These symptoms may appear after 2 days of infection as well as also after 4 weeks - each of them is different. Phase one, i.e. early, from 3 to 40 days after the infection, where the spot of the so-called Erythema Migrans Rash appears. It usually has a diameter greater than 5 cm, which makes it stand out and does not look like a normal allergic reaction. It is usually accompanied by flu-like symptoms, itching or burning. Phase two, or early spread, develops later - from a few weeks to months after the infection - and is the result of the spirochetes spread through the blood to various organs. The most common manifestations are arthritis, neurological disorders and cardiac problems. Phase three, or late (chronic), has survived a form of infection that develops over the years. It can affect all organs, skin and manifest in the form of encephalitis and meningitis. It can also cause psychic symptoms. This is the worst diagnosis, especially after treatment with antibiotics, while still active. Quite undesirable, but often an addiction to Lyme disease are other diseases - coinfection. There may be, for example, typhoid encephalitis, Q fever, tularemia, bartonelosis, bubolus or human granulocyte anaplasmosis. I will not delve into the descriptions of these ailments. Treatment of these diseases is difficult, and symptoms are quite severe, so it is also worth to investigate with suspicion Lyme disease. The most widely used treatment is antibiotic treatment, lasting from several weeks up to several months. There is no universal antibiotic for this disease, so it is usually chosen individually, with the intention of changing the drug to another. Alternative therapies can be, for example, ozone therapy, which is becoming more and more popular among people after antibiotics, whose health has not improved and treatment has brought many side effects with it. It’s the long-term treatment with antibiotics that has many side effects, often more serious or symptomatic than Lyme disease itself. Therefore, the cure is worth combining with natural therapy - not only to fight the disease, but also to stabilize the body and replenish the deficiency. The treatment should be holistic - taking herbs to fight the spirochete of Lyme disease is not the most important. It is more important to regulate the whole organism, to support it in the fight against disease and to protect against the often inevitable negative effects of treatment. Antibiotics to kill spirochetes also destroy these good bacteria that colonize the intestine, so the primary issue with Lyme disease is to rebuild and support immunity. After antibiotic treatment, the intestine becomes sterile, free of positive bacteria that regulate immunity and intestinal permeability. Additionally, the immune system, which wants to fight the disease, is also weakened after some time by continuous fighting; this often involves the autoimmune reaction of the body when it attacks itself. From this it follows that the body is severely devastated, devoid of natural barriers and exposed to all infections and viruses. The first step should be the selection of suitable probiotic bacteria to colonize our intestines and rebuild the appropriate microbiotics and modulation of immunity. It is believed that probiotic bacteria have several functional properties, including stimulation of the immune system. Probiotics are designed to increase non-specific cellular immune responses that are characterized by macrophage activation, NK (Natural Killer) cells, and anti-inflammatory cytokines. The first major bacterium is L. paracasei (http://www.probion.com/files/2012/01/TM_Lpc-37_June2010.pdf ). It was tested for its ability to stabilize intestinal microbiotics during and after antibiotic therapy; In human studies, it has been observed that this type of bacteria reduces intestinal problems caused by antibiotics and stabilizes the overall bacterial image. For this, the bacteria supported the behavior and development of Bifidobacterium at a much higher level than in the placebo group. Its effect on the immune system has also been assessed. In vitro, L. paracasei induces interleukin IL-10, IL-12, (TNF) -α and (IFN) -γ, which in turn induces the immune system to shift in the direction of Th1 arm, which plays a key role in suppressing the development of tumors, viruses and violent reactions to allergies. Another bacterial species is Lactobacillus acidophilus (http://www.nature.com/icb/journal/v78/n1/abs/icb200012a.html ), which is linked in Bifidobacterium spp. studies. It has been shown to rebuild intestinal microbicide after antibiotics treatment. In addition, it contributes to the production of butyric acid which regenerates the enterocytes. Lactobacillus acidophilus activity was evaluated as inhibiting pathogen binding in intestinal lumen and contributing to their excretion. Additionally, Bifidobacterium (some types) raise the level of IgA, which is immonoglobulin standing first mucosal resistance. The results show that probiotics have a beneficial effect on regulation of immune responses, especially in promoting Th1 response. Lactobacillus reuteri works to rebuild intestinal microflora and inhibit the growth and development of pathogenic bacteria, and therefore plays an important role in the supplementation of microbiotics and the regeneration of the intestinal mucosa. L. reuteri also has an immunomodulatory effect confirmed by research. Lactobacillus rhamnosus is also a recognized type of bacteria by the scientific world. It has been shown that these bacteria inhibit the growth of bacteria harmful to the body such as E. coli. They also adhere to intestinal epithelial cells, intestinal mucosa and gastric mucin, thereby stimulating antibacterial activity against pathogens (eg against Salmonella) and form a general barrier in these places. Streptococcus, or another intestinal microbial species, has also been tested for immunomodulation. S. thermophilus produced the highest anti-inflammatory cytokine response, best in combination with Lactobacillus bacteria. It’s advisable to select multi-slice formulas that are tested for the number of bacteria that are suitably selected and well described. Another substance to watch for is lactoferrin. It is a component of the colostrum, the natural secretion of mammals that is found in milk up to a few days after birth. 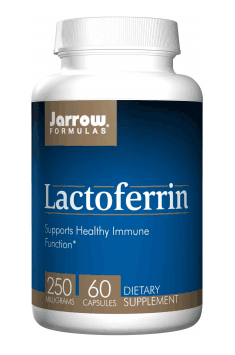 Lactoferrin builds immunity and activates the immune response. It has also been screened for antibacterial activity and has demonstrated the ability to combat the development of inappropriate bacteria - it’s worth remembering about the sterile intestines after antibiotics where the wrong bacteria are willing to nest. Vitamin D plays a very important role in immunity. Receptors of this vitamin are present in many types of cells, especially immune cells. In vitro data show that in addition to modulating innate immune cells, vitamin D promotes a more tolerant immune state. In practice, this implies the development of immune tolerance in the event of a pathological or undesired activation of the natural immune response. In vivo animal studies and supplemental vitamin D studies have shown beneficial effects on the immune system, especially in the context of autoimmunity, which often occurs with Lyme disease. Closing the topic of immunity, we can move on, still on the issue of supporting the body. Borrelia as a source of energy for life use collagen, soften cartilage tissue and draw nutrients from it. That is why it is essential to supplement these deficiencies and stimulate collagen synthesis and tissue reconstruction. by stimulating cell proliferation (regeneration), alkaline phosphatase activity, and collagen synthesis in osteoblastic cells that build bones. Selenium has also been linked to better bone density and mineralization. Also great for vitamin C - it is a support for collagen synthesis as it prevents the deactivation of two key enzymes in collagen biosynthesis. Increased amount of vitamin C and salt causes osmotic shock in spirochetes; The salt also extracts water from the cells, leaving them dry and dead. Antimicrobial therapy is recommended for the support of antibiotic therapy, i.e. treatment with herbs. In most patients this is a surprisingly good result, making such therapy the basis for recognizing natural methods to be effective in the fight against Lyme disease. The first plant considered effective in the fight against spirochetes is this brew, or more specifically, its extract. Research has focused on isolating the extract with different extractors to see when it retains the best activity when tested on humans. The strongest properties were extracted with ethyl acetate, which, after 95% application, inhibited the growth and multiplication of bacteria from the first day of treatment to the last day of the study. It is worth to pay attention to buy just the extract - he showed such activity, not the plant itself. 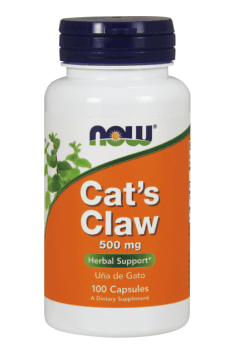 Cat's Claw NOW Foods will improve your immunity in natural way! Another good support in the fight against disease is grapefruit seed extract. In vitro studies have shown that the extract is a potent anti-sperm antibacterial agent and Borella's cysts when used in appropriate concentrations. The study showed that mobile bacteria disappeared when the extract was administered at a concentration of 0.041% and at a concentration of 0.165% the bacteria were completely dissolved or degenerated. There was also cystic breakage or distortion - all depending on the concentration. Even a short administration of grapefruit seed extract has had an effective effect on the active and covered Borrelia spirochetes. The mechanism of antibacterial action of EzPG consists in interfering with the bacterial membrane and releasing the cytoplasm. The extract was also effective against pathogenic bacteria, but did not affect intestinal microflora. The dose should be appropriately selected, as it is conjectured that higher concentrations may be harmful in higher concentrations. Subsequent substances tested for efficacy in the treatment of Lyme disease are Cats Claw (Vilcacora) and Otoba parvifolia (Nutshell Tree). Two-plant extracts were tested in vitro for efficacy against active and inactive Borrelia spore molds. Used in this combination showed a significant destructive effect on all forms. For extracts from these herbs used individually, 1: 400 dilution was most effective in eliminating vertebrae. The best combination, at a 1: 300 dilution, had the greatest impact on the appearance and decreased in size of the tortoise structure. The last tested compound is the Steva rebaudiana extract. The team reported on the effectiveness of this statement against all forms of Borrelia. The researchers noted that after 14-day use, the spirochetes most often did not grow back, and if this was the case, then it was only 10% of reviving spirochetes. Also about 40% efficiency in biofilm reduction on damaged surfaces was also shown. In addition, B vitamins, serraptase (bacterial-free enzyme), wild cherry, grape seed, apricot and anise extract also have bacteriostatic effects - unfortunately, few of them were effective against Borrell's lethal form. This just shows how difficult it is to fight this disease, because even antibiotics are not always effective on its hidden forms. That is why it is so important to combine conventional therapy with phytotherapy. The grape seed extract showed protective and anti-inflammatory and bactericidal properties, as did the extract of wild grapes and apricot seeds. Serraptase in combination with kelp was effective against biofilm elimination. Osteoporosis - secures nerve tissue from endotoxins, relieves inflammatory reactions, inhibits the development of co-infection, and protects the cells of the blood vessels. The final issue closing the topic of treatment is to point out that during the course of treatment Borrelia spirochete is specifically targeted - often neurotoxin cleansing therapy is often neglected. Neurotoxins are released during the killing of bacteria and can circulate in the body and cause inflammation, manifesting as muscle and bone pain, neurological and endocrine problems. 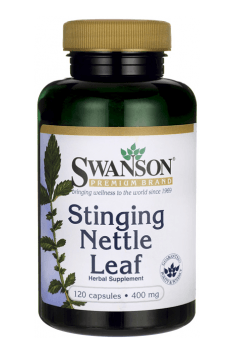 Nettle brew (or nettle extract) will work diuretically, which will result in faster removal of toxins from the body. In addition, nettle is also examined for anti-inflammatory - in this case it is a 2in1 situation, when apart from the biotraperation of toxic compounds, anti-inflammatory action is also observed, also needed throughout the therapy. Field horsemeat also has anti-inflammatory and cleansing properties. In addition, it is a powerful antioxidant, so it will be useful for fighting inflammation and free radicals. The substance to look out for is Sylimarin - extract of milk thistle. The liver responsible for detoxification and treatment may require external support, which should provide silymarin (which works very well with other supplements). In chronic diseases related to oxidative stress (alcoholic and nonalcoholic liver disease), silymarin has been shown to have beneficial effects on hepatocyte regeneration and antioxidant activity. It also decreased inflammatory responses and inhibited the development of fibrosis in the liver. It is also important to pay attention to supplements containing herbal complexes, because they work best and each substance supports all others, thereby increasing the effectiveness of therapy. Make sure you have a proper diet so that the cure makes sense. It is essential to eliminate processed products, junk food, sweets, sweet drinks, etc. It is important to include good quality meat in the diet and vegetables and fruits from unbaked crops. Dairy products (especially wheat), dairy products (cow's, but also can cause allergic reactions) and sugar in all forms (plain, cane, glucose syrup, fructose and all) are equally important. 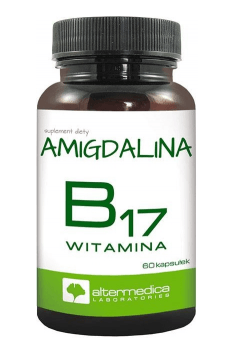 Deepening of inflammatory conditions and detoxification problems, but they can also affect the weakened body and increase the risk of gastrointestinal candidiasis, which unfortunately often accompanies Borrelia infections. The "anti-inflammatory" diet will support and calm the body, and - most importantly - will not provide ingredients that stimulate the immune system to be treated during treatment. As you can see, the treatment of Lyme disease is not a quick and easy matter, so it’s worth it to combine all types of treatment - from classic, modern intestinal nutritionist to alternative herbal solutions and - sure! - appropriately selected diet. It is also important to pay attention to the shortcomings - unfortunately with this disease and neurotoxins, vitamins and minerals are bound or used in increased amounts. Surely a good support will be provided by the complex of vitamins in the right form; If for someone to be more comfortable, you can also buy vitamins separately. Also take care of other aspects of life - adequate sleep, providing us with the regeneration and silence of inflammation; Sometimes it is also necessary to eliminate physical activity causing extensive inflammation (DOMS). The basis is to reduce the stress that contributes to the development of inflammation - it can often be related even to quitting a job or ending a toxic relationship. It is a disease that is often devastating, chronic, covering many areas - so it is worthwhile to devote a certain period of your life to regulating your body condition and for the rest of your life to enjoy health.